Diwali is the festival of lights celebrated all over India. Hindu festivals are celebrated with colors, lights, new dresses, sweets, and fun. Here are some of the sayings to make the occasion still more special. Hope the festival of lights enlightens your home and heart with peace and serenity. Wishing you lots of joy and happiness on the special occasion of Diwali. This Diwali, may you be blessed with good fortune as long as Ganeshji’s trunk, wealth and prosperity as big as his stomach, happiness as sweet as his ladoos and may your trouble be as small as his mouse. Happy Diwali. May the Goddess of wealth and the God of Knowledge bless you with their choicest blessings. On this Diwali and always! and fulfills all your dreams! Please receive our simple Gift of “WISH ” wrapped with LOVE” tied “with CARE” “n sealed with a PRAYER” to keep U & Ur Family ” “SAFE “& HEALTHY” HAPPY DIWALI. May the beauty and festivity of Diwali fill your home with happiness and joy. May the coming year give you everything you’ve wished for! May the festival of lights add sparkles of joy to your life. Wishing you a happy Diwali! Sending you warmest Diwali wishes, hugs, and love. May your life bloom with joy and you have a grand celebration on this Diwali. Wishing that your life glows with happiness, joy, and prosperity on this Diwali and always. May the happiness, that this season brings, brighten your life and Hopefully, the year Brings you luck and fulfills all your dearest dreams! Sun glows for a day, Candle for an hour, Matchstick for a minute, But a wish can glow days forever, So here is my wish for glowing Diwali, glowing life!! Wishing good health, more wealth, peace, fame, love, in your life… Happy Diwali. fill your life with happiness and contentment. Wishing you a happy and blessed Diwali! May the light of joy and prosperity shine on you this Diwali and throughout the coming year. ” HAPPY DIWALI” To you & your family. May the light of joy and prosperity shine on you this Diwali and throughout the coming year? “HAPPY DIWALI” To you & your family. May the Joy, Cheer, Mirth and Merriment of this divine festival surround you forever? So, here we provided Happy Diwali SMS and we hope you liked it. If you do like it then share this article with your friends on social media and do subscribe to this blog. Halloween party makes the kids play and stuck with the astonishing stories from the elders. 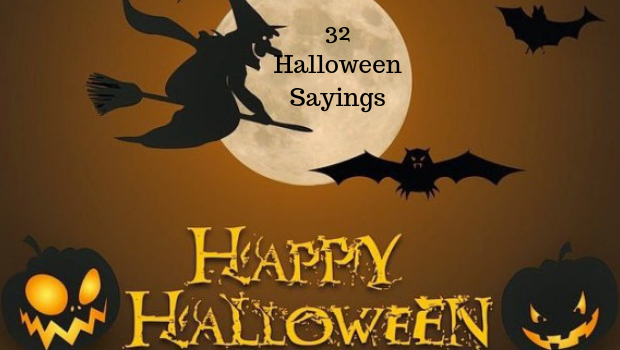 Here we want to provide some Halloween sayings to make your celebration even more colorful and fun. This Halloween I’d like to tell you a thing or two, it’s okay to be the devil, it’s okay to have a tattoo, it’s okay to be an angel, it’s okay to trick or treat too. Hope all the candies don’t go to WAIST. Happy Halloween! May you have a fantastic evening, ghoul-friend! I am so lucky to have you in my life. Halloween wishes to you! Roses are red, violets are blue, I’m out of candy, look how scary are you. Life with you is just getting boo-better and better. Happy Halloween! May you have a hair-raising experience, chills, and thrills on Halloween! Have fun getting frightened and scaring people and seeing the horrors of Halloween. I am guilty of eating candy in cold blood. This letter is sealed with a vampire kiss and bite. Happy Halloween! It’s Time to carve out the pumpkin, bring out the candies and let’s get sugar high to celebrate. When Halloween is here the monsters appear and the candies disappear. May the ghost be with you?